The national American Leadership Forum (ALF) organization was founded in 1980 by Joseph Jaworski, who left his successful law practice to address what he increasingly saw as a crisis of leadership taking place throughout the country. His vision was to establish a national organization dedicated to bringing together leaders from various sectors in communities across the country to develop their leadership skills and capacity and strengthen their commitment to work together on public issues. After a year of meeting with leaders from across the United States, Jaworski and seventeen other prominent Americans launched the American Leadership Forum with this vision in mind. This group, many of whose members still serve on ALF's national board of trustees, included John Gardner, former Secretary of Health, Education and Welfare; James MacGregor Burns, Professor Emeritus of Williams College; Warren Bennis, former Professor at USC and respected author; Tom Bradley, former mayor of Los Angeles; Harlan Cleveland, former ambassador to NATO and President of the World Academy of Art & Science; Rosabeth Moss Kanter, Professor of Business Administration, Harvard Business School, and James B. Stockdale, Vice Admiral in the U.S. Navy. Through the vision of this group, ALF began in 1980 to address a need for more skillful, more ethical, more effective leadership on a local basis. They were convinced that if a cross-section of a community's business, elected, academic, minority and religious leadership could be brought together to work on public issues, no problem would be beyond solution. In 1996, Joe Jaworski published a book, Synchronicity: The Inner Path of Leadership, in which he chronicles his efforts to build the American Leadership Forum and highlights the principles and values that ALF embodies. 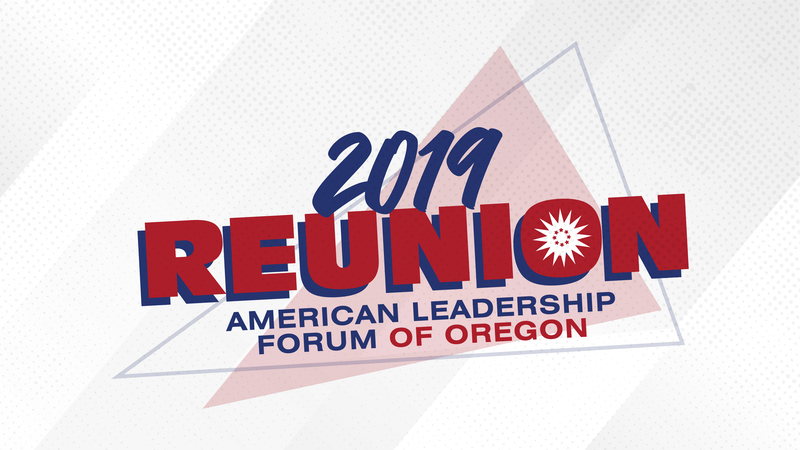 The Oregon chapter of the American Leadership Forum is the second oldest chapter in the national ALF organization behind Houston. Over 2500 leaders throughout the country have completed the ALF Fellows program to date, with approximately 450 of those coming from the Oregon chapter. Founded in 1986, the Oregon chapter is one of only two statewide chapters in the national ALF system. (It was the only statewide chapter for 20 years until the Michigan chapter became an ALF affiliate in 2006.) ALF-Oregon was founded by then-CEO of PacifiCorp, Don Frisbee, with the assistance of several prominent business and public sector leaders in the state.